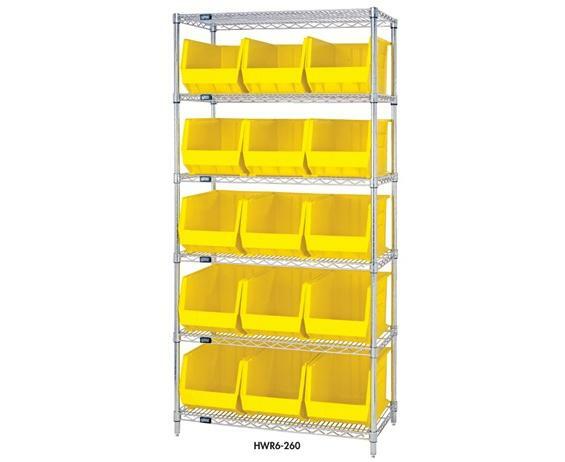 Combine stylish chrome shelving and parts organizing bins. 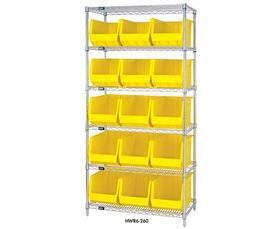 Sturdy shelving unit supports loads up to 800 lbs. Choice of bins. Easy to assemble. Ultra Bins are available in Blue, Red, Yellow, Green, Ivory or Black. FOB Shipping Point. 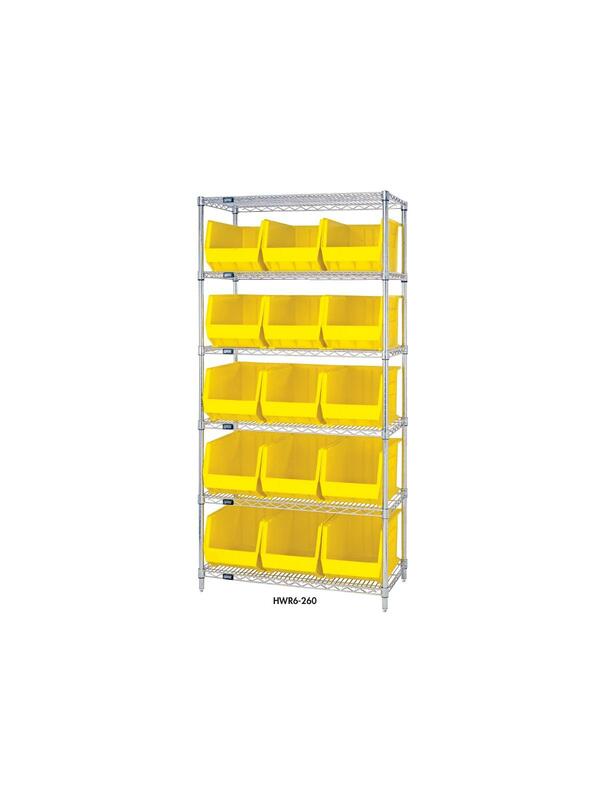 See Related Items tab for Chrome Wire Shelving Units with Shelf Bins, Chrome Wire Shelving Units with Giant Hopper Bins, Chrome Wire Shelving Units with Magnum Bins and Chrome Wire Shelving Units with Hulk Containers.